Dräger Alcotest 3000 breathalyzer is a new model from Dräger Concern which is expected to be the most popular model among motorists, as it is specifically oriented for private persons. 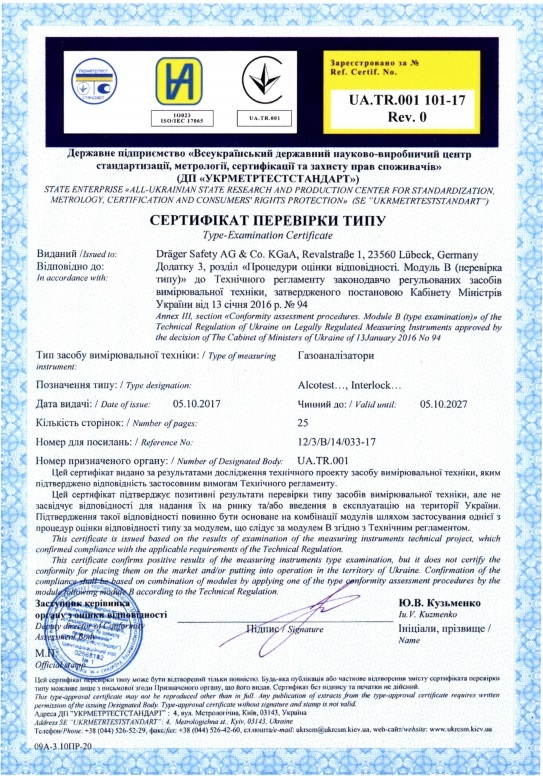 The housing and the main characteristics are consistent with Dräger Alcotest 6510 and Dräger Alcotest 6810 models, which are now widely used in Traffic police units and in Addiction services of the Ministry of Health of Ukraine. The reduction of price was accomplished owing to the exception of some functions required only for official instruments. These devices have come for sale first of all into auto shops and into large internet shops. All those, who wish them to buy, may apply to us and they will be advised about Dräger Alcotest 3000 breathalyzers certified points of sale. All supplied devices are provided with service support and warranty. Dräger Alcotest 3000 is a breathalyzers series Dräger Alcotest. It is compact and easy to use device that provides users with fast and accurate analysis for the presence of alcohol in breath, gives the opportunity to make a reliable and accurate analysis by one button pressing. Warranty term: 12 months (when purchasing a certified dealership). 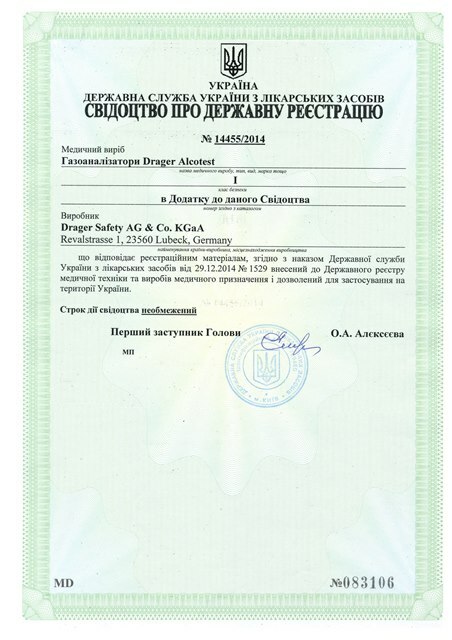 Dräger Alcotest 3000 has a whole set of necessary Ukrainian permissive documents. It belongs to "Individual breathalyzers" class and is intended primarily for self-testing by individuals. WORLD BESTSELLER FOR PASSENGER AND FREIGHT TRANSPORT IN SMALL, MEDIUM AND LARGE ENTERPRISE, MUNICIPALITIES, INDIVIDUALS !!! This is breathalyser that blocks vehicle engine start if alcohol is detected in breath.